A great sharing gift for an office party or a family. 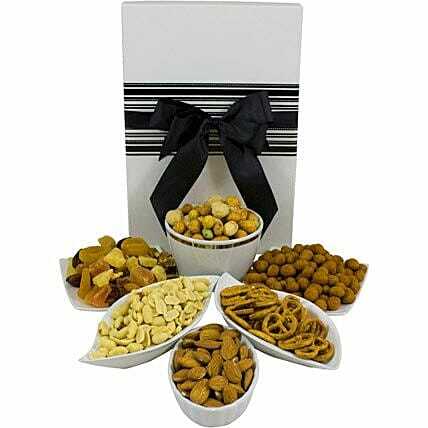 A healthy selection of nuts and dried fruits, with some crunchy pretzels too! Elegantly presented in a white gloss gift box, wrapped with a handmade satin bow. Store them in a tightly sealed container. Store the other items in a cool, dry place.